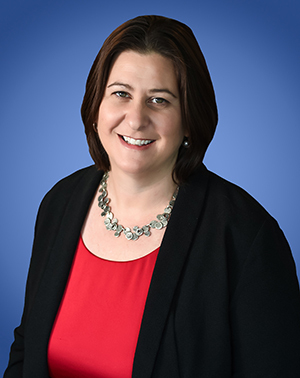 Megan Macy is the Managing Partner of Lozano Smith's Sacramento office and provides general counsel to school districts and other public agencies. An active member of the Firm’s Labor and Employment, Facilities and Business and Charter School practice groups, Ms. Macy works closely with clients to appreciate their organizations, culture and goals, so Lozano Smith can support administrators in developing the right solution for each legal issue. From assisting clients in creating excellent business practices and encouraging positive labor relations, to advocating for their interests at the highest levels, she puts clients – and their communities – first. Ms. Macy enjoys developing workshops that utilize the most current technology and other methods to engage the audience, while delivering valuable content. As a result, she is a frequent speaker at statewide conferences and trainer for clients on a wide range of topics. Legal Webcast: What’s Next for Lease-Leaseback Construction? Megan earned her law degree from the University of Oregon, where she was trained in Alternative Dispute Resolution and certified as a mediator for the local court. Megan earned her B.A. in Public Policy and Religion from Washington and Lee University, also completing the Shepherd Program for the Interdisciplinary Study of Poverty. In the precedent setting case, Anderson Union High School District v. Shasta Secondary Home School (2016) 4 Cal.App.5th 262, Ms. Macy argued before the Third District Court of Appeal, and was part of the Lozano Smith team that prevailed when the Court confirmed that the geographic and site limitations of the Charter Schools Act (Ed. Code, § 47600 et seq.) are applicable to all charter schools, including “nonclassroom-based” programs. In New Jerusalem Elementary School District v. Academy of Arts & Sciences Charter School, San Joaquin County Superior Court Case No. STC-cv-UMC-2016-1072, Ms. Macy was part of the Lozano Smith team obtaining a $1.5 million settlement on behalf of New Jerusalem School District against a charter schools for recovery of funds allocated to two charter schools previously operated by the charter schools, which became dependent charter schools operated by the District. The settlement was reached after Lozano Smith successfully argued that such funds belonged and should follow the students to which the funding was allocated by the State. The charter school argued that any funds not expended on instruction properly belonged to the nonprofit operating the schools, a practice commonly known as “sweeping” – and which is prevalent in charter management organizations that have ties to for-profit service providers. In this Lozano Smith podcast, moderator Sloan Simmons engages with Dr. Daryl Camp, Superintendent of the Riverbank Unified School District, and Lozano Smith Partner Megan Macy, regarding a burgeoning and healthy competition between two separate dual immersion programs operated in Riverbank, one through a dependent charter school and another through in a traditional district school. Their discussion explores how this existing dynamic in Riverbank serves one of the original purposes of the Charter Schools Act, the benefits of this unique situation, and some of the challenges which arose along the way.